We are pleased to announce PATRICK MIKHAIL GALLERY has been selected to participate in VOLTA NY, the prestigious invitational New York art fair held each spring in conjunction with The Armory Show. The gallery will be presenting a solo project of the works of Ottawa painter AMY SCHISSEL. Schissel’s site-specific, multi-media installation entitled Cyber Fields has been conceived and created for Volta NY and will be on view at the fair’s new location at 82 Mercer Street in SOHO from March 7 to 10, 2013. Volta NY is an invitational show of solo artists’ projects and is the American incarnation of the successful young fair founded in Basel in 2005. 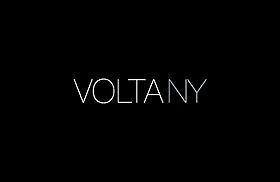 VOLTA NY was conceived by art critic and fair director Amanda Coulson to continue the original mandate of a tightly-focused, boutique event that is a place for discovery.